Leading Manufacturer of scaffolding pipes from Chandigarh. We are instrumental in offering Scaffolding Pipes. 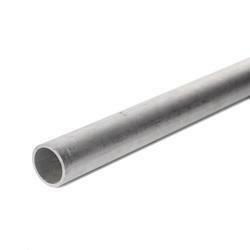 The tubes offered by us are manufactured under the strict supervision of experts making use of premium quality material and employing latest machines. These tubes are extensively used where heavy loads need to be carried. Owing to the sturdy construction and resistance against corrosion properties, these are widely applauded in this competitive market.